I was in a lovely gift shop in Ybor City, Florida when I was struck by the unique beauty of these stone bowls crafted out of Septarian stone. I loved the unique patterns formed out of different colors and cracks that looked like something formed by pure magic. 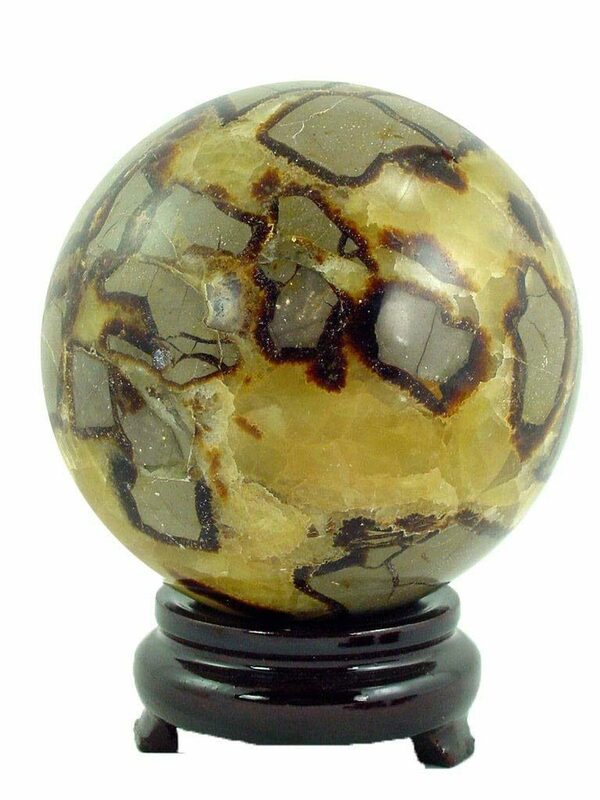 The unique look of Septarian stone is why it is also known as Dragon Stone. 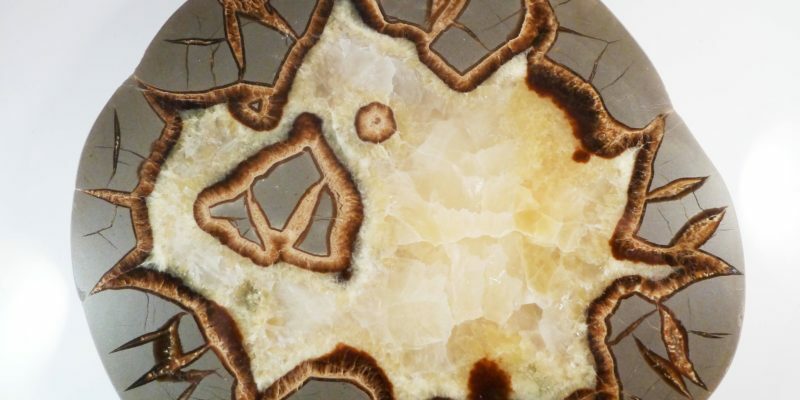 The contrasting, cracked, and distinctive dragon skin patterns that are infused within each of these unique stones have earned it this moniker. And, as with most things formed by nature, no two Septarian stones look alike. 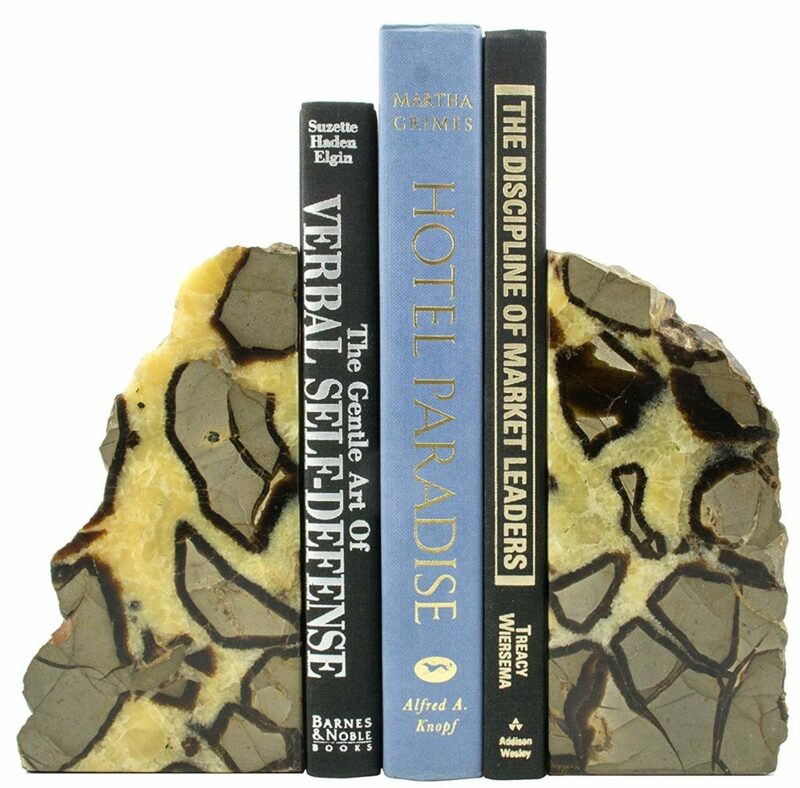 The uniqueness of this stone allows them to be used to create some wonderful home decor accents that are very eye catching. 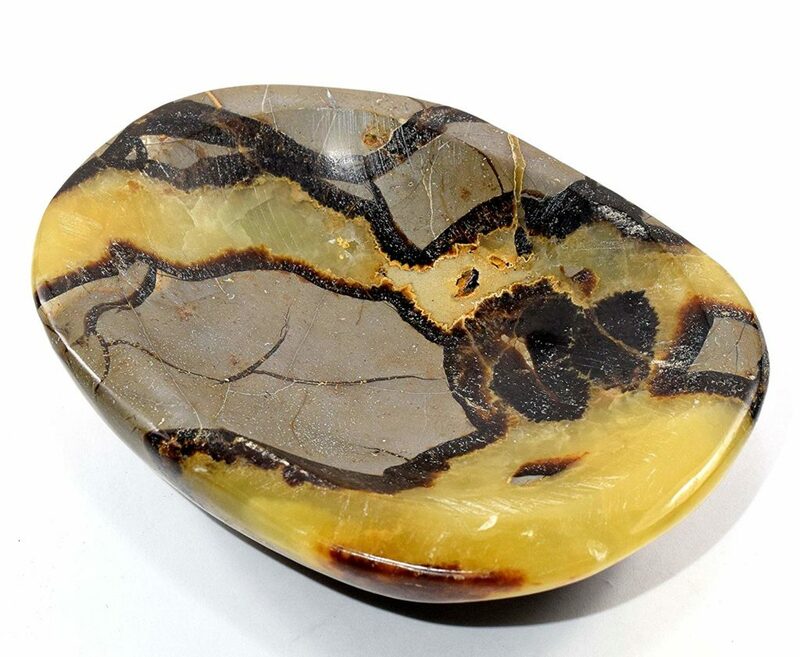 Septarian stones are believed to have formed during the Cretaceous period – which would make them approximately 145 Million Years old. When sea levels were much higher, volcanic eruptions and other natural events caused some small sea life to be buried in the seabed. As nature took its course, sediments would accumulate and create what was known as a nodule or “mud ball”. As the oceans eventually receded, these mud balls dried out in the exposed air, creating the delightful cracking patters as the mudballs shrank. 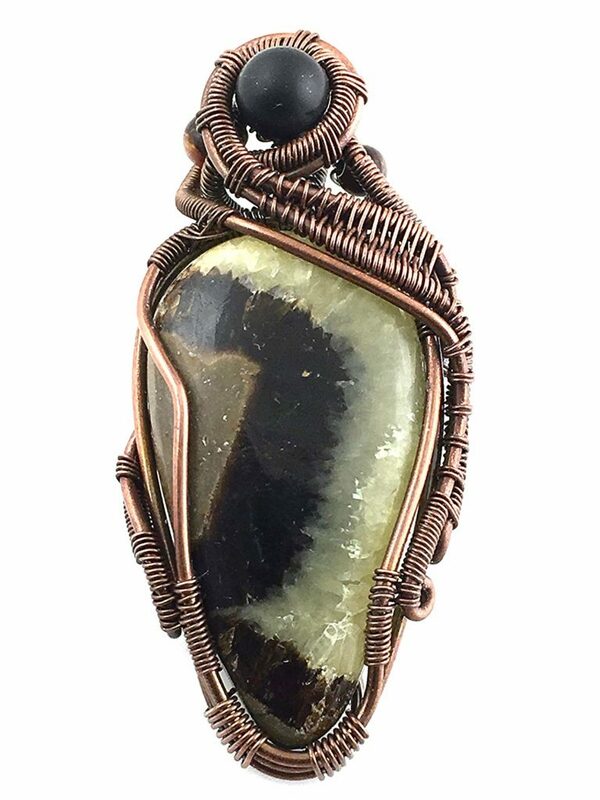 For those who enjoy the holistic powers of nature, it is believed that Septarian can help you release the negative energies that may be holding you back in life. Natural healers believe that Septarian may also improve the balance of your body, mind, and spirit and ensure peace and harmony in all aspects of your being. However, what really drew me to these pieces as the polished beauty of the finished pieces. The unique glimpse into what happened on the earth millions of years ago, formed into tiny swirls and cracks became the perfect substrate for the unique pieces they had on display. 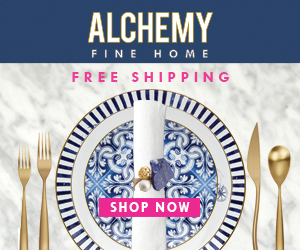 After doing some additional research, I found a wide variety of ways that this beautiful stone can be used, from decor, to massage stones, to jewelry. That way, no matter how you want to integrate some Septarian into your life… you have options. 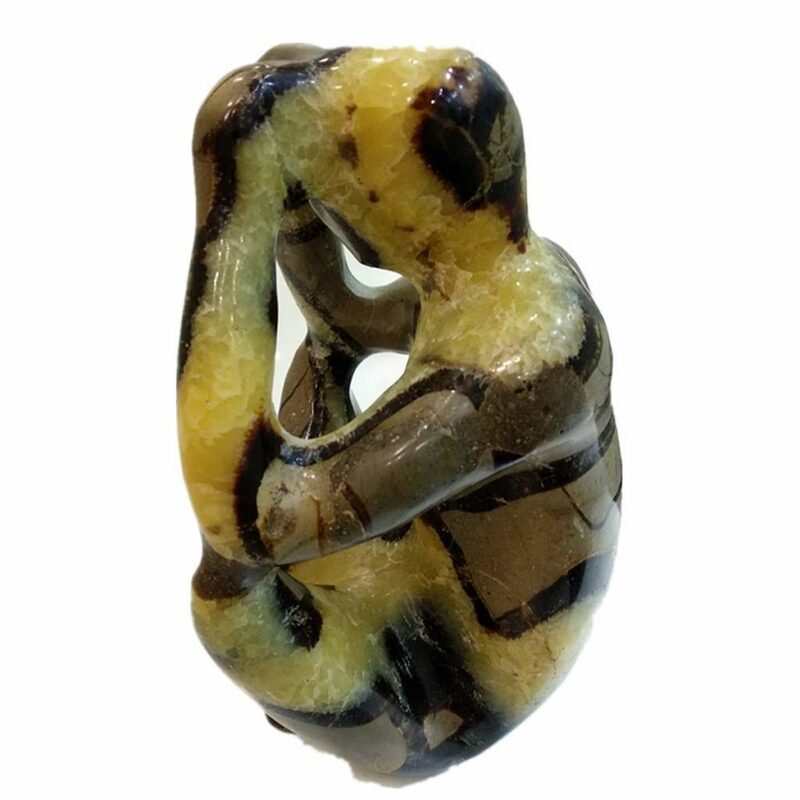 When you think of how Septarian Stone is created, deriving unique & enduring beauty from the end of something else, it’s a nice reminder of the power of nature and how the end of something does not have be tragic… it can be beautiful. 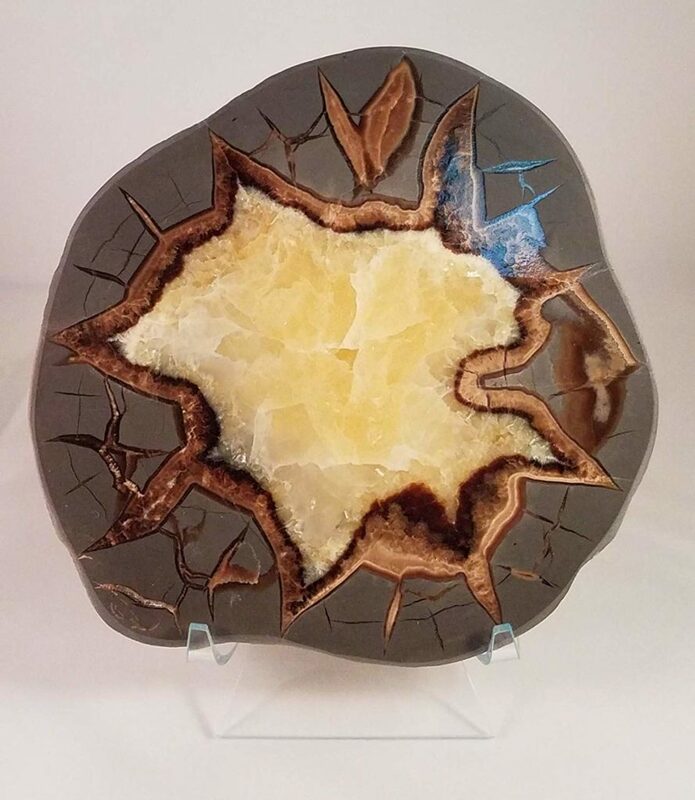 If you’d like to add some of this unique and beautiful Septarian Stone to your life, check out these products from our affiliate partner, Amazon.com.